A bright way to show your patriotic spirit, this “Proud To Be American” visor clip declares what your heart confirms! Featuring an American Eagle donning Uncle Sam’s hat, the brilliant decorative clip is artfully painted on durable hammered metal—adding custom style to your vehicle’s interior. 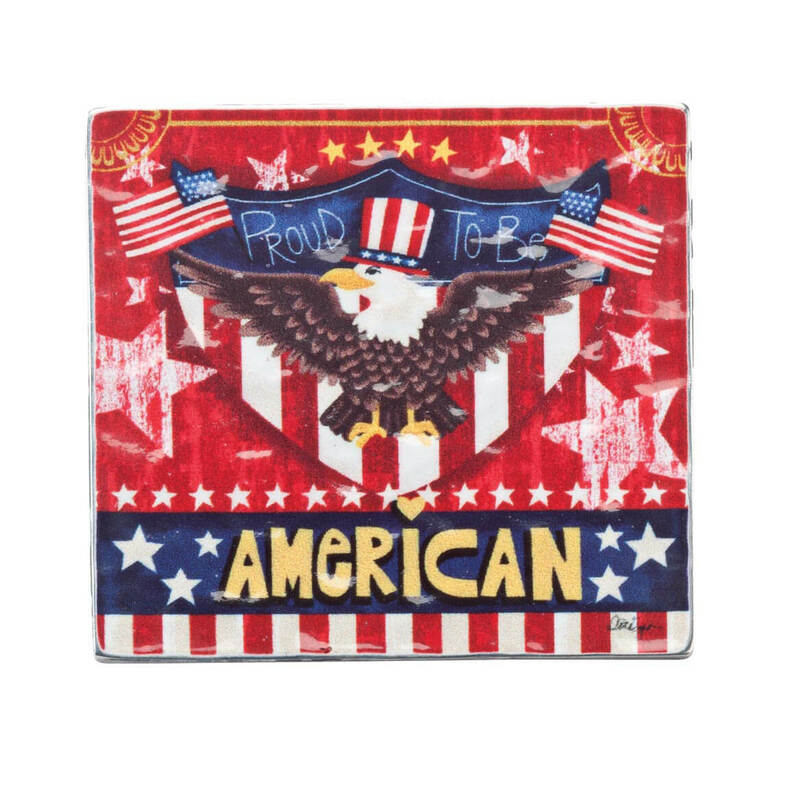 Simply clip this patriotic decor to your visor, and take American pride along for the ride! 2 1/4″ long x 2 1/4″ wide. Securing your smartphone or GPS to your rearview mirror, this rearview mirror phone & GPS mount allows the safety and convenience of hands-free use while driving. Clipping onto any vehicle’s rearview mirrors, its flexible neck and swivel action position your GPS or phone within easy reach and sight for horizontal or vertical viewing. 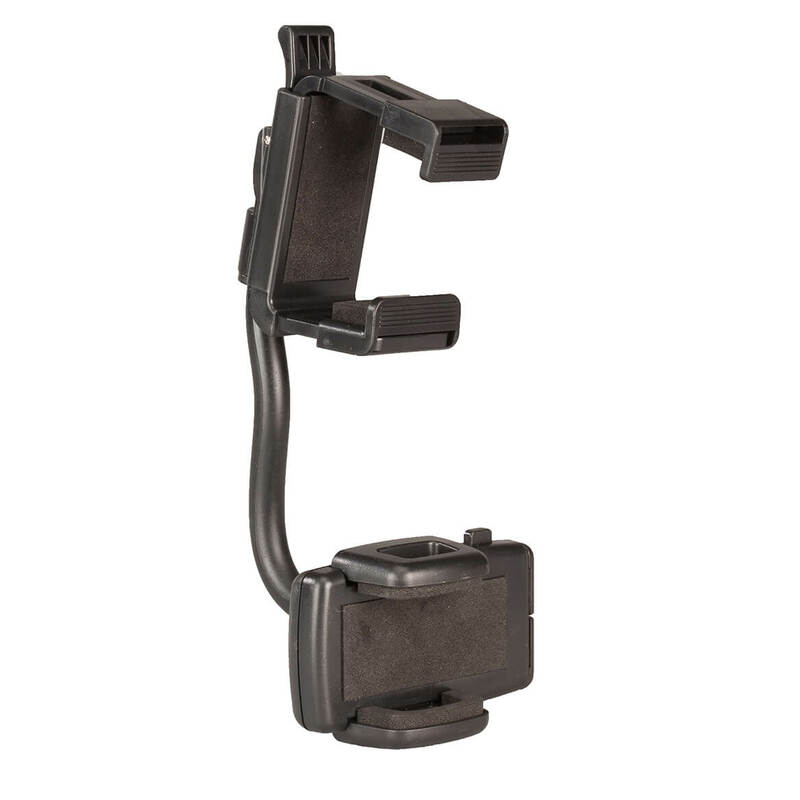 Soft gripper arms adjust to accommodate different size devices for versatile use. Plastic. Car phone holder measures 11″ long. Apply New Car Multi-Surface Rejuvenator just ONCE to clean, shine and protect your car’s many surfaces for years! This innovative, waterproof treatment safely and effectively restores even dull, faded surfaces—protecting from harsh outdoor elements and withstanding countless car washes for long-lasting luster and showroom shine. 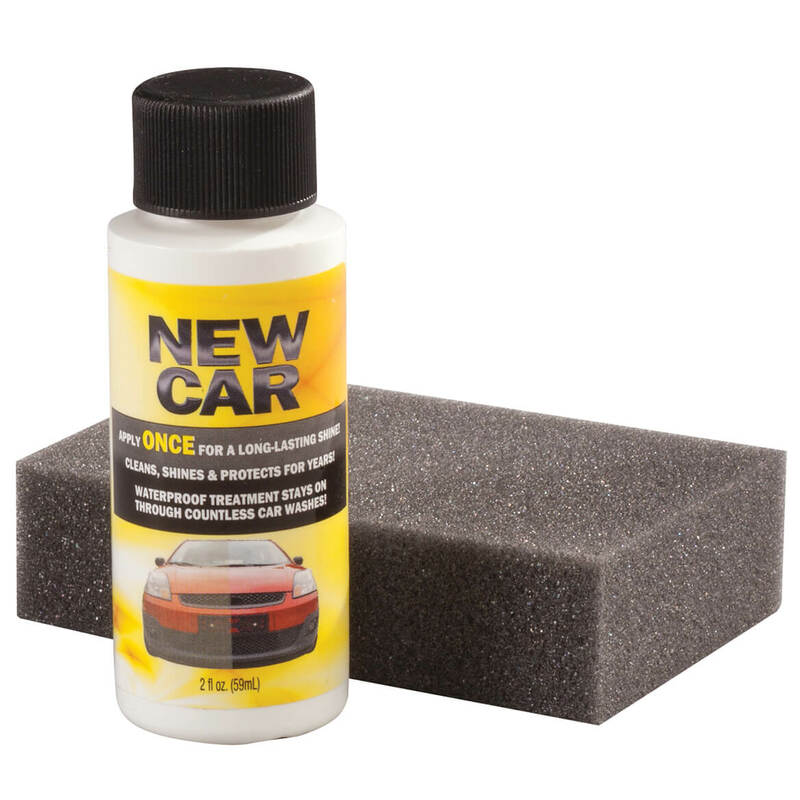 The multi-surface formula rejuvenates dashboards and panels, vinyl and leather seats, panels, handles and cup holders, faded plastic and trim, even mirrors, rims and bumpers. 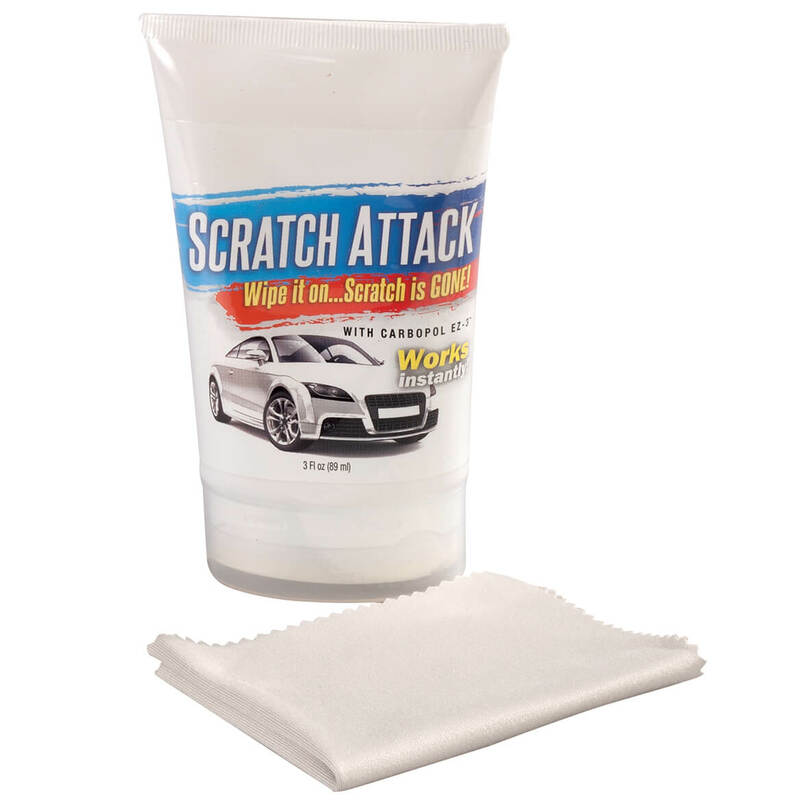 Easy to use; simply pour onto clean cloth and wipe a thin coat to intended surface. Instructions included. 2 fl. oz. Waterproof treatment; Protects from harsh outdoor elements and withstands countless car washes; Easy to use; Instructions included; 2 fl. oz. Harnessing the power of Carbopol® EZ-3 polymer, Scratch Attack works to instantly remove surface scratches and blemishes without painting or sanding. Simply wipe it on and the scratch is gone! Helping restore the look of any automobile without matching colors, the versatile formula works on motorcycles, bikes, boats, appliances with an enamel finish—and is safe for paint, porcelain, laminated and chrome surfaces. Includes hands-free applicator sponge and instructions. 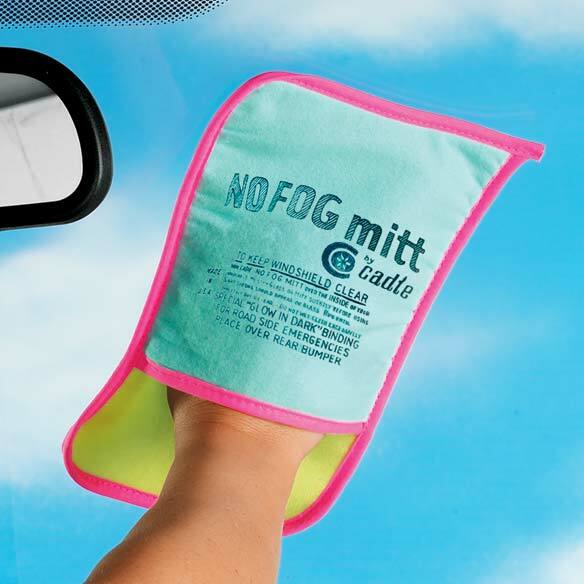 No Fog Mitt is specially treated to prevent fog from forming on your windshield, allowing clear, safer vision! Use this fog mitt to wipe the inside of your auto’s window. Cotton/ flannel foam can be reused until worn. 9″ long x 5 3/4″ wide. 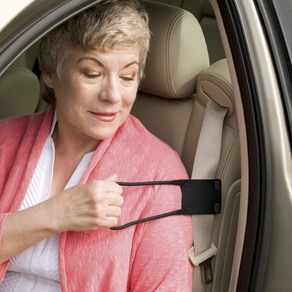 Extending your reach a full six inches, this safety-minded seat belt helper makes buckling up easy! Simply attach the flexible rubber grip to vehicle’s shoulder strap so you can easily pull the belt around your body without straining. If desired, leave seat belt handle attached for instant, everyday convenience. 9″ long x 3 7/8″ wide. No Frost Cloth is specially treated to create an invisible, protective shield that helps prevent frost from forming on your windshield, allowing clear, safer vision. Use this frost cloth to wipe the inside of your auto’s window. 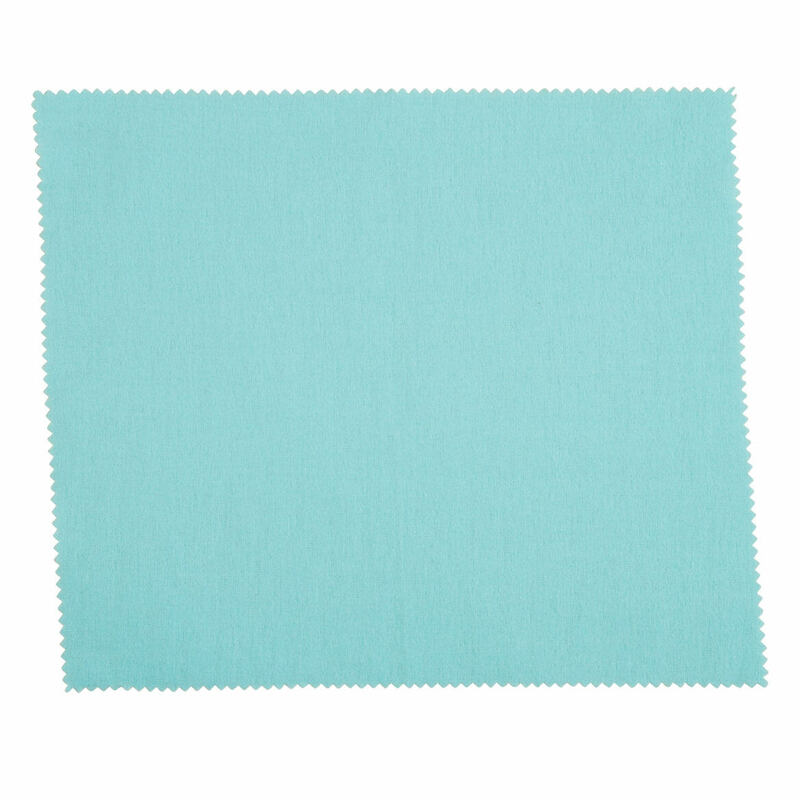 Easy-to-use, reusable cotton/flannel cloth is specially treated with long-lasting formula that works until it wears out. Simply fold and store for repeated use. 11 3/4″ long x 10″ wide. Stay cool and comfortable while having fun in the sun. 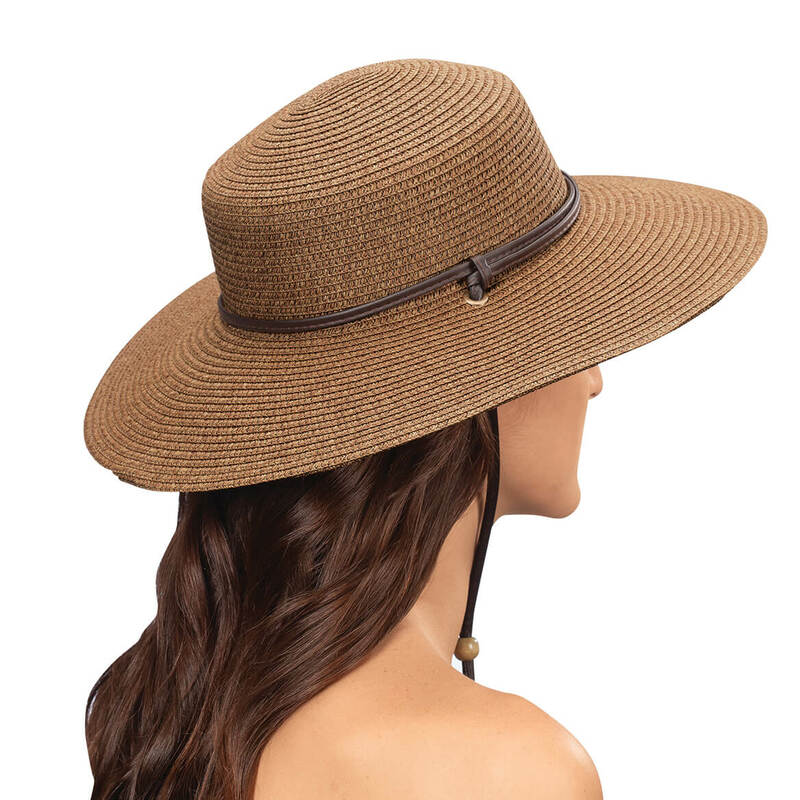 Braided hat with 4″ wide brim blocks the sun from your hair, face and shoulders. Not too stiff and not too floppy, its innovative woven fabric provides maximum sun protection, with a rated ultraviolet protection factor of 50+. 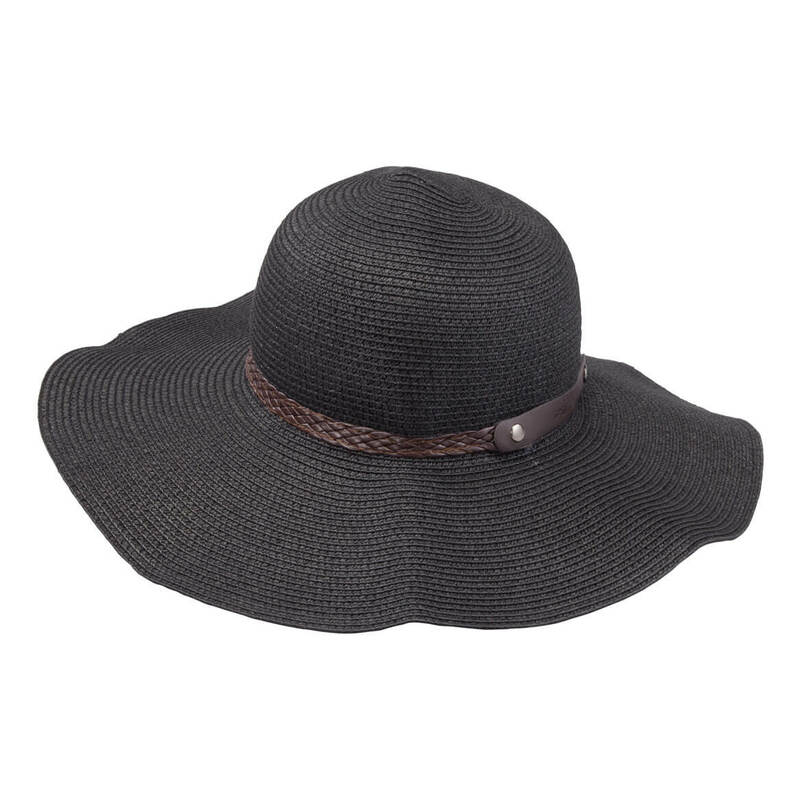 Perfect for every outdoor activity from gardening to walks on the beach, it features an interior comfort headband and adjustable wind lanyard with bead to secure it in place on even the gustiest days. Choose from brown or natural. Size 22 1/2 fits women’s medium. 65% paper/35% polyester. Imported. 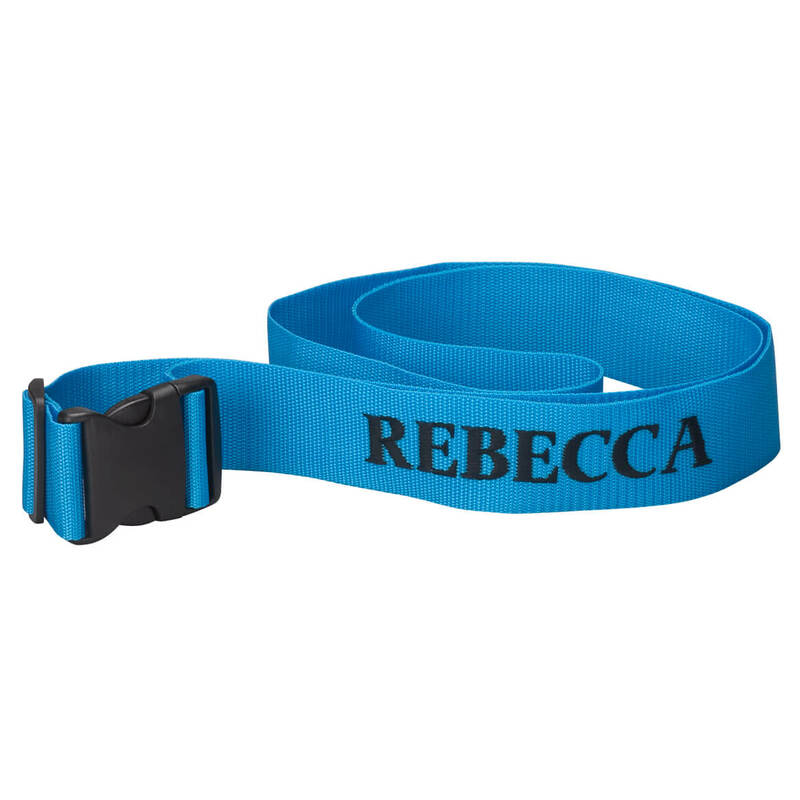 This personalized blue luggage strap means no more guessing at the luggage carousel! Durable 2″ wide luggage strap prevents accidental openings with sturdy plastic brake clip to hold it in place. We’ll personalize. Specify name; limit 1 line, 18 letters/spaces. Polypropylene. Adjusts from 35″ to 64″L.